Published on September 20, 2010 in Complaints, Court, General T&T, Law, Parliament, People's Partnership and Politics. 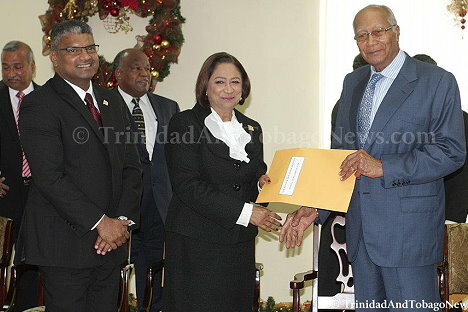 14 Comments Tags: Chief Justice, Herbert Volney, Ivor Archie, Justice Herbert Volney, Kamla Persad-Bissessar, Politics. “That several members of her People’s Partnership administration have had a past history in politics and social activism as defenders and upholders of the rule of law and the independence and separations of all the time honoured Estates of a Democratic State as Trinidad and Tobago.